I’m in my forth week touring British Columbia and the Yukon. The Peace River area with all its Eastern specialties was awesome, even though it rained a lot. Connecticut, Mourning, Canada, Bay-breasted and Cape May Warbler are all in the bag. It was fun to relearn the eastern songs. Between Watson Lake and Dawson City, birding is on the slow side. I drove 490km into the Dempster Hwy, turning around in the Northern Richardson Mountains, north of the Arctic Circle and, notably, in the Northwest Territories. The Blackstone Uplands was one big disappointment, the Richardson Mountains were good though. 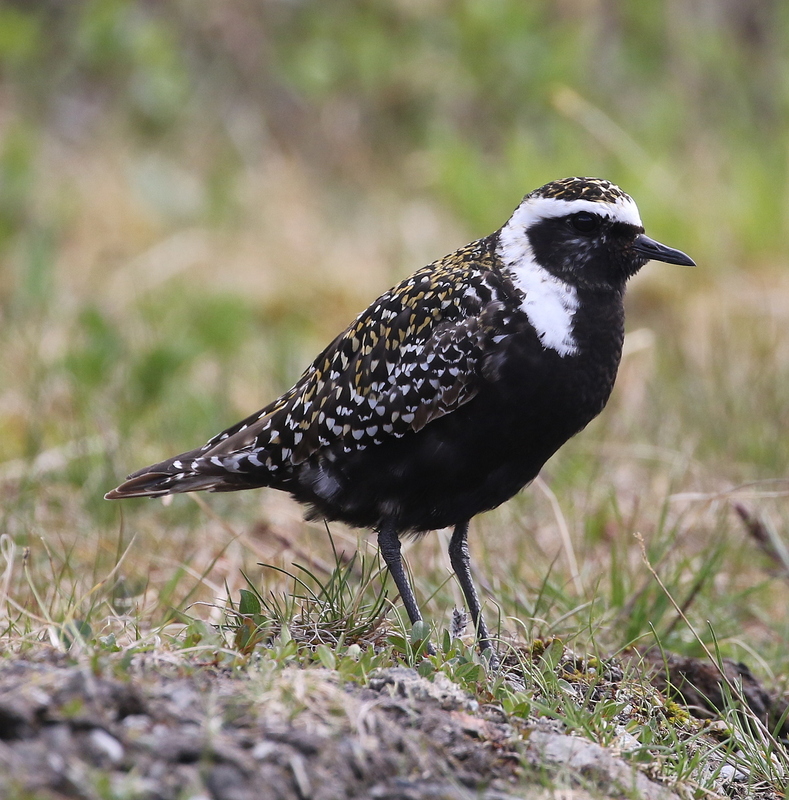 This American Golden-Plover is NOT from the Dempster, but from Keno Hill.